In Vietnam, as in other parts of the world, the private sector has been more receptive to the much-buzzed-about rise of the Internet of Things (IoT), while the public sector and the government have been slow to adopt these technologies. However, the mounting demands for reforms and innovation to fight backwardness have compelled policymakers to be more open-minded and prepared for the inevitable. 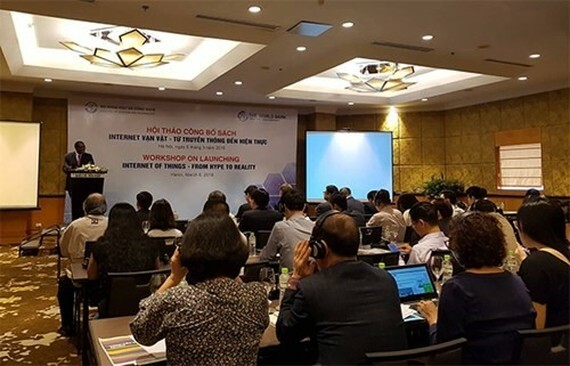 The comment was made by Tran Xuan Dich, deputy head of the market and business development department (under the Ministry of Science and Technology) during the launch of the Vietnamese version of report entitled “Internet of Things: From hype to reality,” the product of collaboration between the World Bank and the science ministry yesterday. The Internet of Things refers to a state of inter-connectivity between all physical devices, objects, humans and even animals – as long as they are embedded with sensors, actuators, or softwares that can help them communicate and exchange data with each other via internet connection. Dich claimed that currently, “all sectors in Vietnam have a basic understanding of Internet of Things and the massive benefits it can bring about". Achim Fock, Portfolio & Operations Manager in the World Bank office in Vietnam, said the IoT report would help people have a better grasp of the trend, which in turn, would lead to more investment into the technologies. 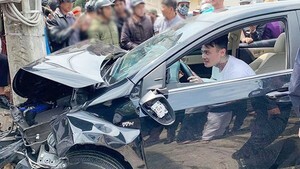 Fock commented that the report’s timing was appropriate especially when the Vietnamese government has recognised and is willing to take advantage of the potentials of the fourth industrial revolution. However, to fully realise their potential, systematic and informed work is required by the Government, private sector and civil society. Prasanna Lal Das, Lead Knowledge Management Officer at the World Bank, stressed that the report was the starting point to assess the progress of Governments in incorporating IoT in its activities. The toolkit offered in the report would be a stepping stone for Governments to either facilitate their implementation of IoT or building IoT projects. Some succcessful applications of IoT technologies in other countries of various development levels could be mentioned, such as the control of parking lots and the lighting system in Ludwigsburg City of Germany, or an intelligent general hospital network and smart schools in Kazakhstan. IoT-based business models were mostly maintained via limited grants and funding, which didn’t guarantee their financial viability in long term, he added. According to Nguyen The Trung, director-general of Do Thanh Technology (DTT), one of the solution providers for Vietnam’s e-Government programme, businesses in Vietnam have the capacity to master the technologies but need to follow global standards. The concept of IoT has become familiar with businesses and thus, they are moving to the phase “trial use, payment, and efficiency evaluation” of IoT technologies. Experts also called on businesses to focus on data in the new era.